This page is for the SOUND HOLIC feat. Nana Takahashi song titled Ha・lle・lu・jah. For the 빅뱅 song of a similar title, please see Hallelujah. so 信じて always onward ! so shinjite always onward ! Two instrumental versions of Ha・lle・lu・jah, one with 709sec. 's rap part and one without, can be found on the SOUND VOLTEX FLOOR website as an "audition" song for the Vocal category in the SDVX × DTM MAGAZINE Collaboration Contest (SDVX × DTM MAGAZINE コラボレーションコンテスト) event. A long version of Ha・lle・lu・jah, titled Ha･lle･lu･jah (extend ver. 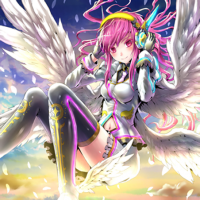 ), appears on SOUND HOLIC's album 斬 -ZAN-. 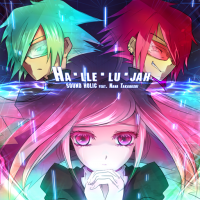 A remix of Ha・lle・lu・jah by Ryu☆, titled Ha・lle・lu・jah (Ryu☆Remix), appears on SOUND HOLIC's 焔 -MAGMA- album. The ノスタルジア series use a slightly rearranged version of Ha・lle・lu・jah. Ha・lle・lu・jah marks both SOUND HOLIC's and Nana Takahashi's debuts in BEMANI. It also marks their first appearances in REFLEC BEAT and DanceDanceRevolution. Ha・lle・lu・jah received new ADVANCED and EXHAUST jackets on August 3rd, 2012. Both new jackets, designed by かぶと山 (ADVANCED) and azuki VS clbU (EXHAUST), were two of the winners of the Jacket hokan MISSION ichi-FIRST-MISSION (ジャケット補完MISSION 壱-FIRST-MISSION) contest. Before this update, Ha・lle・lu・jah's ADVANCED and EXHAUST charts used the same jacket as its NOVICE chart. 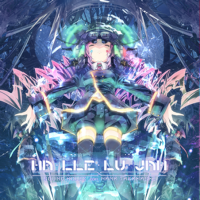 Ha・lle・lu・jah was added to REFLEC BEAT colette -Spring- on June 7th, 2013 as a default song. In REFLEC BEAT, Ha・lle・lu・jah uses its SOUND VOLTEX NOVICE, ADVANCED, and EXHAUST jackets for its BASIC, MEDIUM, and HARD jackets, respectively. The BeatStream series also use Ha・lle・lu・jah's NOVICE, ADVANCED, and EXHAUST jackets for LIGHT, MEDIUM, and BEAST, respectively. The DanceDanceRevolution, jubeat, and ノスタルジア series only use its NOVICE jacket. Ha・lle・lu・jah received an INFINITE chart in SOUND VOLTEX II -infinite infection-. It can be purchased from the SDVX Station after clearing, with a AAA rank, ten songs with charts being rated a 12. Ha・lle・lu・jah was added to jubeat saucer fulfill on December 4th, 2014 as part of the Smith no omoide ~ The Lost Memories ~ (スミスの想いで ～ The Lost Memories ～) event. Ha・lle・lu・jah is one of the unlocks of the Kaitou BisCo no yokokujou!! (怪盗BisCoの予告状!!) event. It could be unlocked in BeatStream from June 17th to December 21st, 2015, after the SOUND VOLTEX III GRAVITY WARS Museum is completed. Ha・lle・lu・jah was added to DanceEvolution ARCADE on August 9th, 2016 as an exclusive song to the machines that installed the offline kit. It was the final song added to the series, as the game's servers later went offline on August 31st, 2016. Ha・lle・lu・jah could be unlocked in ノスタルジア FORTE on August 8th and 15th, 2017 as part of the Version up kinen gakkyoku koukan (バージョンアップ記念 楽曲交換) event, by having played both ノスタルジア FORTE and SOUND VOLTEX IV HEAVENLY HAVEN from July 31st to August 13th, 2017. It could be unlocked again by playing both SOUND VOLTEX IV HEAVENLY HAVEN and ノスタルジア FORTE one time from February 1st to 28th, 2018, as part of the Kikan gentei gakkyoku koukan event (期間限定 楽曲交換イベント). After being removed from the initial release of REFLEC BEAT 悠久のリフレシア, Ha・lle・lu・jah was revived on May 24th, 2018.